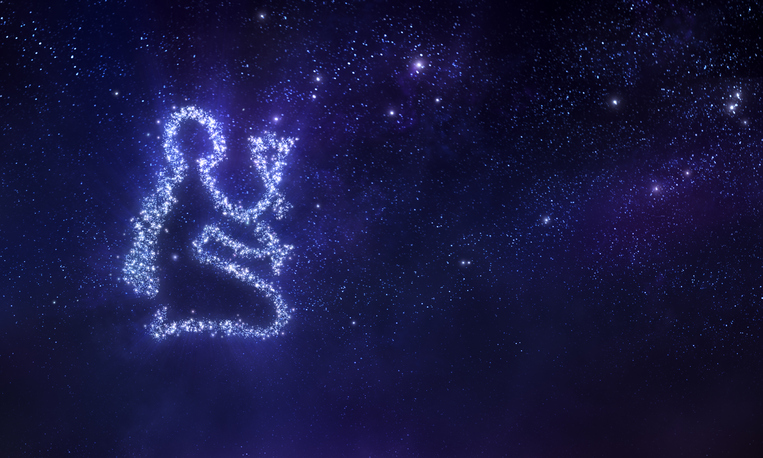 If your baby was born between August 23rd and September 22nd, his astrology sign is Virgo. Virgos are known for taking charge and loving order. These sweet babies will keep you on your toes, but they're love bugs, too. Read on to see what's in store for you and your little Virgo. Virgo Is the Sign of "The Helper"
You'll likely notice early on that your little Virgo will do whatever she can to be helpful. When it's time for dinner she'll want to make sure you get your share of food, then she'll wipe her tray and wash her face to help you with cleaning up. You'll notice she's always eager to offer assistance when asked. She'll also be the teacher's pet when she grows up—her helpful nature will quickly endear her to adults everywhere. Virgos are born leaders and have take-charge attitudes. With friends and siblings this can turn into bossiness and criticism, so be sure to guide your Virgo during social times; teaching him early on to approach his peers with a gentle attitude will help to decrease friction and hurt feelings. It's natural for your Virgo to want to be in control, so make sure you teach him early on to listen to the opinions of others—you'll need to make sure he's being a friend and not a dictator. You will likely find that your little Virgo excels in intellectual areas. Virgos are often early talkers and are quick to pick up reading and writing. Depending on what the birthday cutoff is for enrollment into school, it might be worth discussing whether your little Virgo is ready for early entrance. You'll definitely want to look into preschool programs to help support and stimulate her already advanced skills. You're going to need to lay down rules clearly and specifically. Virgos are quick to find loopholes in the rules so he'll do his best to charm and confuse you with excuses. A good idea to make your life easier is posting a no-nonsense list of rules your Virgo needs to follow—that way you can stop protestations before they start. He'll still try to wiggle his way out, but you'll have a hard copy to refer him to. Virgos are Queens of Clean. She'll want to finish every meal by wiping down her own tray. When she's older, she'll happily load the dishwasher and wipe the table down. Her toys will be in order, but she can be particular, too. Try not to change her toys around too much—if she has an order that makes sense to her, it will be disturbing if you move things around. Not only are Virgos smart and clever, they also have a knack for seeing things nobody else does. Her capacity to notice the minute details will be to her benefit during games like Memory or Hide and Seek. She'll also have fun making discoveries and showing them off to people who would have otherwise walked right by. Despite his innate intelligence, your little Virgo is actually quite sensitive and prone to feeling insecure and inferior. His feelings are easily hurt, so take extra care to help him develop a strong self-esteem early on. He needs his parents to frequently reinforce their love for him—a simple hug or kiss often isn't enough for a Virgo. You'll need to heap on the praise and affection, because Virgos need it a bit more than most other children.